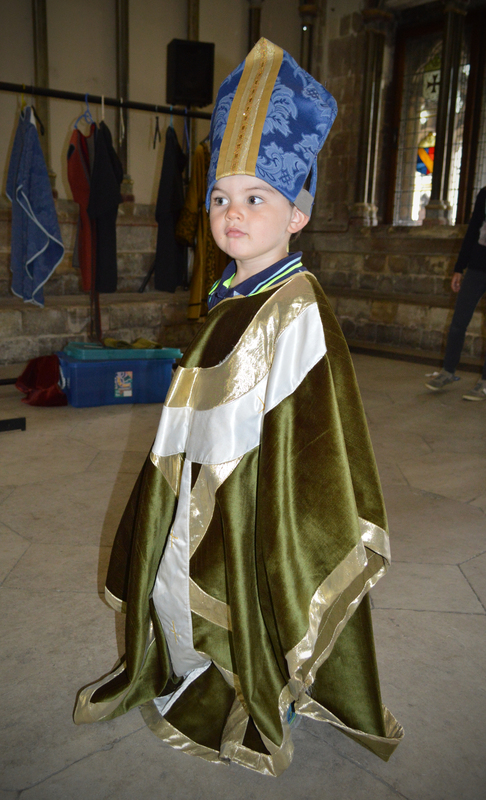 Hundreds enjoyed the experience of being a pilgrim – both modern day and medieval – at Canterbury Cathedral on Saturday. 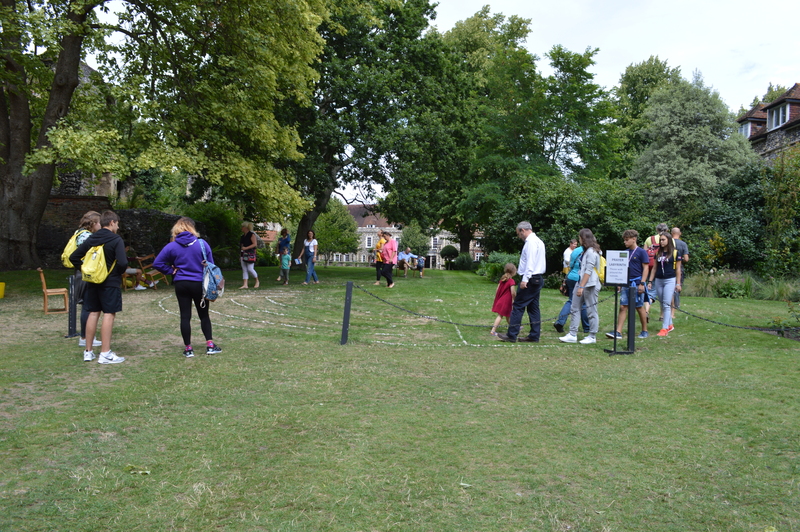 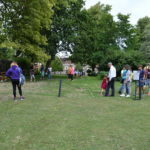 All ages took part in a day of activities including drawing round feet on a pilgrim path along the Cloister; following a labyrinth and adding a stone to the cairn; exploring ways to pray with a prayer tree; dressing up and creating a clay pilgrim tile. 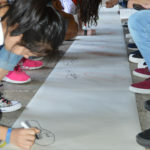 The Pilgrimage Experience Day was organised jointly with the Centre for the Study of Christianity and Culture at York University where a team has been examining the role of pilgrimage in the past and its renewed popularity today. 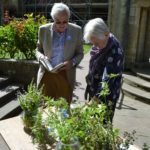 Centre Director Dr Dee Dyas explained: “We have created new spaces and ways for people to learn and form new memories through a sensory experience. 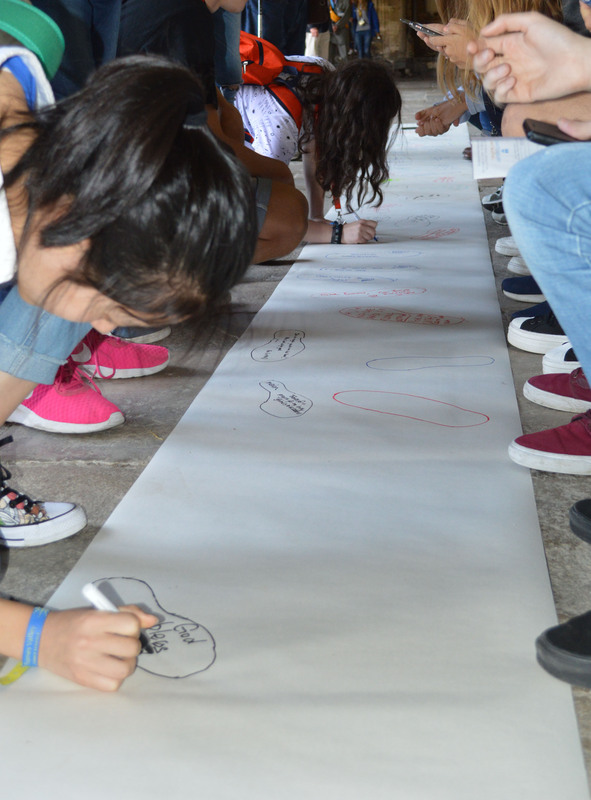 Scientific research tells us that memory is based on seeing, smelling, touching and movement. 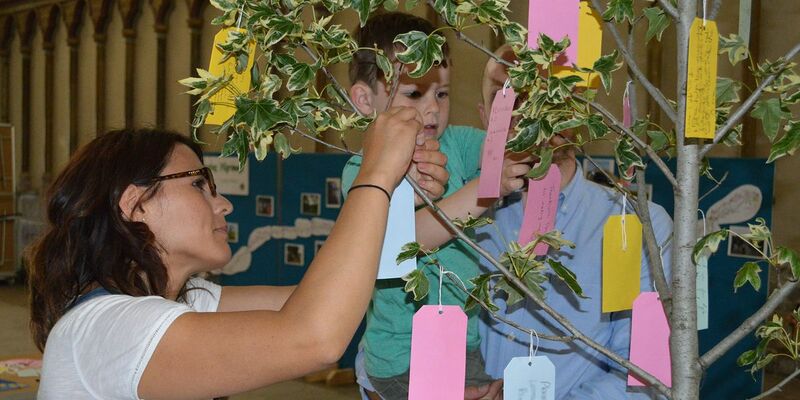 We’ve attempted to create spaces today that would help initiate and create new memories. 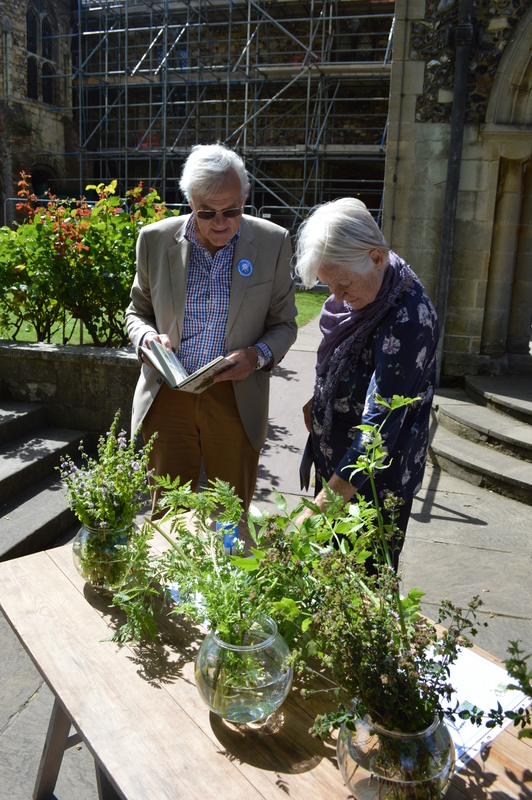 Herbs from the herb garden. 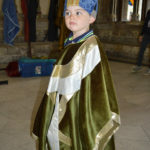 Zach takes on the role of a bishop. 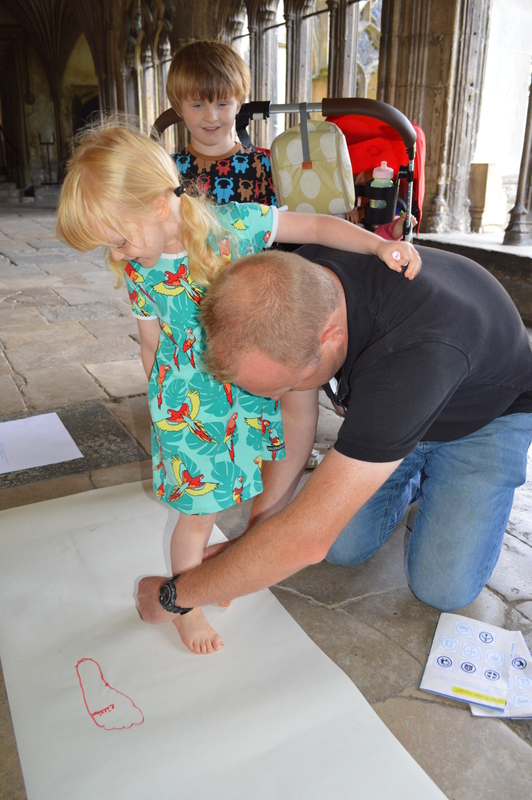 Drawing round feet in the Cloister. 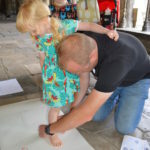 A small foot is added to the pilgrim trail. 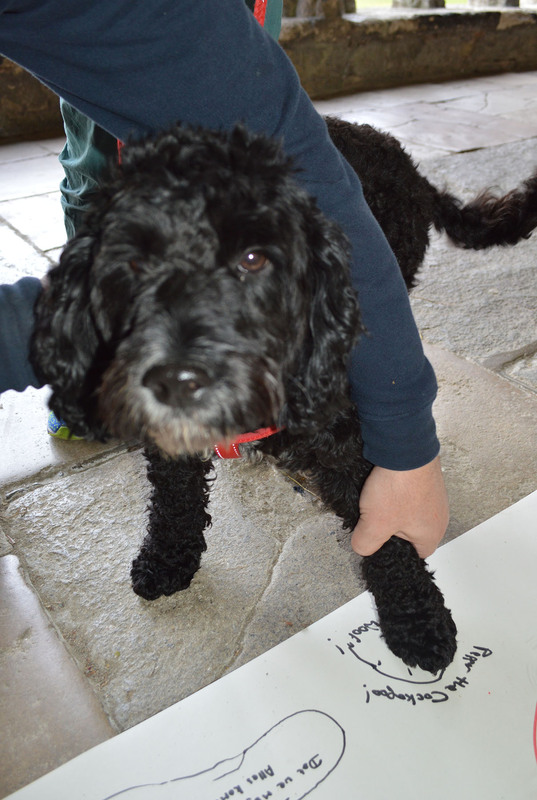 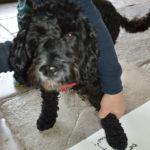 Pepper the Cockapoo adds his paw. 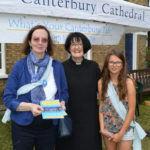 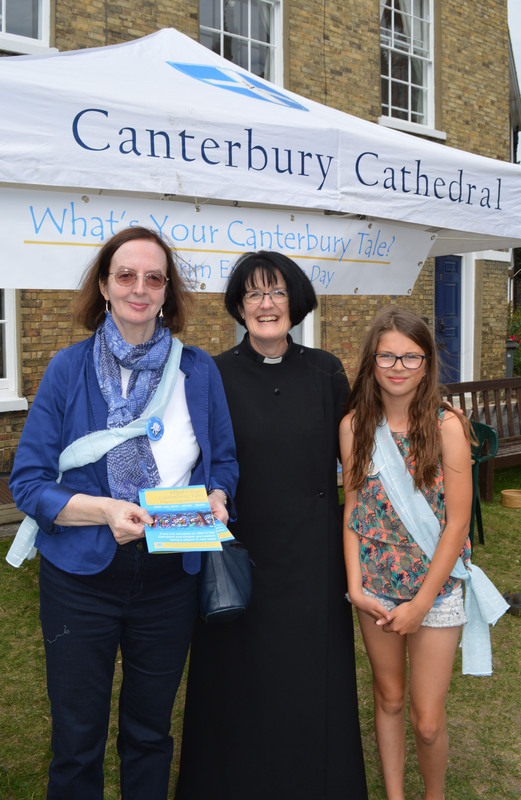 Dr Dee Dyas, Archdeacon Jo Kelly-Moore and Naomi welcome visitors to the Pilgrimage Day.